Are you a word Wizard? Cast your spell at this year’s Spell Bee Contest! 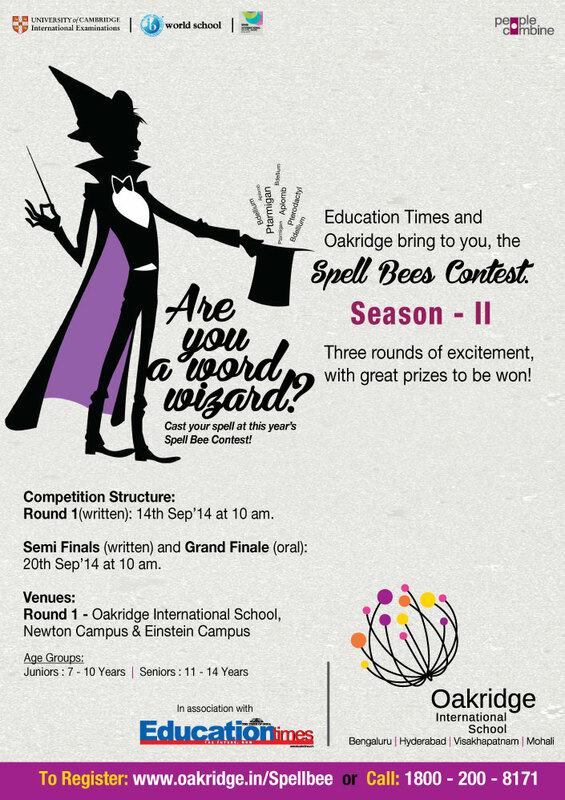 Education Times and Oakridge bring to you, the Spell Bees Contest Season –II. 14th Sep’14 at 10 am. 20th Sep’14 at 10 am.